Collaborative worldbuilding projects are excellent for classroom use and can be used in many different ways. University instructors and high school have used the worldbuilding deck to teach fiction writing, literature, history, public policy, and more. Collaborative worldbuilding can be done in a single session, in multi-week units, or a semester-long class project and also works well in workshop settings at conferences and conventions. 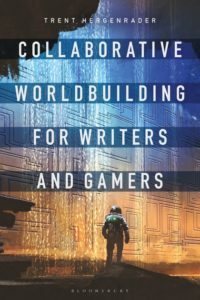 All make use of the collaborative worldbuilding deck, and any groups working on projects longer than a single session will benefit from reading and understanding the terminology used in Collaborative Worldbuilding for Writers and Gamers. 7) Got Questions? Need Help? Want to Show Off Your Students’ Worlds? 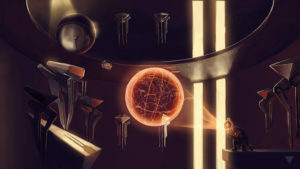 The collaborative worldbuilding methodology draws from constructivist and constructionist educational theories pioneered by Jean Piaget and Seymour Papert, respectively. In basic terms, constructivism posits that people make meaning based on their life experiences and reflecting on those experiences to shape an understanding of the world and how they, as individuals, fit within it. Constructionism extends this theory, arguing that people build mental models of how the world the works, and people learn more when actually make things. Both theories underpin a wide range of project-based and game-based approaches to teaching. Thus when we engage in worldbuilding projects, we are drawing on our own unique understandings of our reality in order to create a believable fictional world. Collaborative worldbuilding requires the participants to share their understandings of how the world works so that the group may create a world that operates in a logical, coherent and consistent fashion. In order for them to build a convincing representation of a fictional world, they must also negotiate a group understanding of how our world works, which is based on their personal experiences. Collaborative worldbuilding projects require a significant amount of debate and discussion about the social forces at play in a world, and how those social forces may impact different types of people in different ways based on their position within the society. The structures and substructures used in the worldbuilding deck are purposely broad and value-neutral, where high or low numbers in a given category may be interpreted in positive or negative terms. For example, a 5 in Government Presence means that the government is hugely involved in every aspect of the lives of its citizens. A collaborative worldbuilding group could read this as either a communitarian utopia or a despotic nightmare, and participants will often share their personal feelings on the appropriate role of government in a society. The conversations naturally tend to be nuanced and complex as the group identifies the threads of social forces at play and how they operate as an interconnected system. And Government Presence is only one of fourteen substructures in the categories of governance, economics, social relations, and cultural influences! 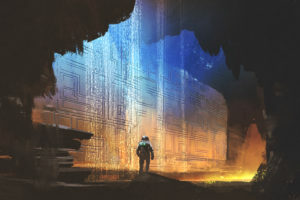 Collaborative worldbuilding projects require the participants to move between critical thinking and creative production, sharing and debating different ways of understanding our world as informed by their own life experiences. 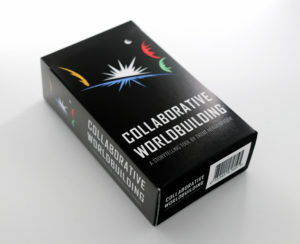 A very easy way to introduce people to the collaborative worldbuilding system is to first use the worldbuilding card deck as an analytical tool for modeling a fictional world. In my worldbuilding classes, I usually start with a short unit on post-apocalyptic worlds. We read a few short stories from John Joseph Adams’s Wastelands: Stories of the Apocalypse, watch a film or two (I’ve had good success with The Road, and Mad Max: Fury Road), and play the post-apocalyptic videogame Fallout 3. For each world in the stories, I have students use the worldbuilding deck or fill out a form where they rate the 14 substructures in the categories of governance, economics, social relations, and cultural influences on a scale of 1 to 5, indicating which categories seem to be trending. Students notice very quickly that some substructures are more prevalent in some texts than others, and that when we look at the aggregated results of how their peers rated the world, there’s not as much consensus as they expected. This leads us to interesting conversations about why someone rated Economic Strength as a 2 and someone else rated it as a 5. We need to ask “What do you think Economic Strength means in this world?” and “How is a 2 in Economic Strength different from a 1 or a 3?” and most importantly “What specific parts of the text informed your decision?” There is no “correct” model of a fictional world, but some interpretations are more compelling than others. The process also allows us to talk about common features of the post-apocalyptic genre across media, or how post-apocalypses differ from dystopias or other genres of fiction. The collaborative worldbuilding deck is not limited to analyzing fictional worlds. You can use the system to model a historical world: Ancient Egypt or the world of a plantation in the Antebellum South. You might also ask students to model the city where they go to school or to model the worlds of their hometowns. As in the example above, it can be used for any form of media including books, comics, films, TV, and games. Worldbuilding workshops can be done in hour-long sessions but it’s not recommended as it feels very rushed. 90-minute sessions are the preferred minimum as it gives the group more room to breathe a little and better discuss the world they’re building. The longer the session, the more complexity the groups can build into their world, or they can start thinking about writing a short history of how the world came to be, or they can begin to populate it with its most important people, places, and things. Groups usually write their ideas down on paper or create a shared Google Doc to record their work. Reserve at least 15 minutes at the beginning of the session to give a brief overview of the activity and describing the 14 substructures and how the system works. Split the audience into groups, ideally of no more or fewer than 4 or 5 people per group. Then you can use one of two approaches: 1) randomly generate one world and have each group develop their world using the same numeric and trending values; or 2) provide a deck to each group and have them generate their own random world. Reserve another 15 minutes at the end of the session as a post-mortem, allowing each group to share what kind of world they built with their given values. For longer sessions, such as half-day or full-day workshops, participants can spend more time fleshing out the details of their world. Use a Wikipedia page for whatever city, state, or region you may be in as a guide for writing a metanarrative that describes how the world operates. If time remains, you might ask the group to come up with three (or more) characters, locations, and items that would be important in the world. In these sessions, it’s most important to save time at the end for a debriefing and for people to share their experiences: what they found the most fun, the most difficult, areas where there was the most disagreement, alternative interpretations they decided not to pursue, etc. People are always excited to share the world they created and hear about other group’s worlds as well. 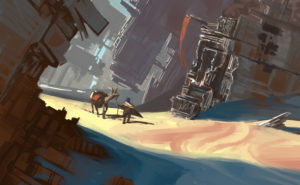 For longer units on worldbuilding, begin by reading Chapters 1 through 6 of Collaborative Worldbuilding for Writers and Gamers, taking time to talk through the theories and examples presented, and encouraging students to apply the terminology to fictional worlds of their choosing. Introduce students to the worldbuilding deck early so they may begin to think through the concepts using the deck as a modeling tool. Supplement the book with other texts for them to analyze using the worldbuilding system. 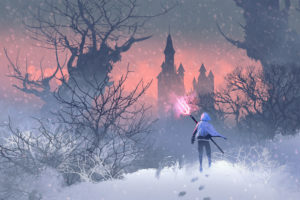 This process can be sped up or slowed down depending on the level of the students, but generally speaking for college-level classes, introducing them to the system and discussing different types of fictional worlds takes about one to two weeks . As with the single-session instructions, split students into groups, no more or fewer than 4 or 5 people per group. Then you can use one of two approaches: 1) randomly generate one world and have each group develop their world using the same numeric and trending values; or 2) provide a deck to each group and have them generate their own random world. 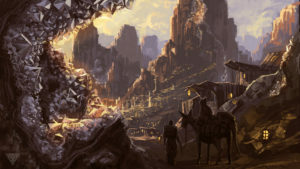 It’s important for them to read Chapters 8 through 11 in Collaborative Worldbuilding for Writers and Gamers as these chapters explain where and how to begin the group project, how to work well as a group, and advice for steering groups away from common worldbuilding mistakes that can doom a project from the start. Ideally, class time is given over to small group discussion with the instructor floating between groups, answering questions and occasionally offering ideas for the students to consider or complicating any pat answers students provide. Generally speaking, the role of the instructor is to point out glaring contradictions and oversimplifications, always encouraging the students for more complexity and subtlety. This is also a time to point out things that others may find problematic or offensive, such as essentialist statements or assumptions about people of certain races, classes, genders, or sexual orientations. The worldbuilding deck often does generate worlds that have clear tensions along the lines of race, class, etc. Great works of literature such as Margaret Atwood’s A Handmaid’s Tale or George Orwell’s 1984 describe worlds in which no one would wish to live, but these authors are using their worlds as a form of social critique and the protagonists in those novels resent and resist the oppressive social forces at play. During this stage it’s very useful for groups to critique each other’s developing worlds, pointing out the world’s strengths and weaknesses. This process of developing the structures and substructures usually takes one to two weeks, depending on the level of detail desired. After writing a solid metanarrative that includes important historical events, the groups can move on to populating a catalog with people, places, and things as described in Chapter 12. Ensure that each student has an opportunity to create at least three characters, locations, and items. Depending on the depth of the catalog desired, this process takes one to two weeks. Generally speaking, a group with 4 or 5 students should produce a metanarrative of around 4000 words and create roughly 50 entries. Ideas for what to do next with the world can be found in Chapter 13. Building an entire class around worldbuilding is an exciting prospect for instructors. There two basic approaches: 1) students make several smaller worlds, rotating between different groups and genres; or 2) the class makes one very large world, developing it over the course of the semester. 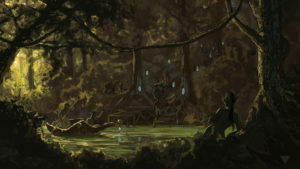 A third type of semester-long project can be to add to a preexisting world, using a large-scale world most students would be familiar with, such as creating new planets in the Star Wars galaxy, new royal Houses of Westeros from Game of Thrones, or developing little-mentioned societies in Tolkien’s Middle-earth. This pairs a critical reading of those texts with using them as a basis for students’ original additions. For this approach, break the course down into 5- or 6-week units and follow the guidelines for multi-week units described above. In a 10-week course, plan to have students build two different worlds; in a 15- or 16-week course, have them build three worlds. Generally speaking, 5 weeks is a good amount of time to spend on a single world, from writing the metanarrative through catalog creation and storytelling. In my courses, I begin with analyzing examples of post-apocalyptic stories in different media and then break the students into groups to build their own post-apocalyptic worlds. For the first world of the semester, I usually have the students use the same set of values randomly generated by the worldbuilding card deck. 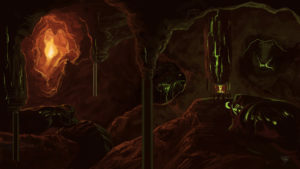 Having the groups use the same values highlights how differently those values and categories can be interpreted, as each post-apocalyptic world is usually quite different from the others. After five weeks, I randomly assign the students to new groups and we change to a new genre of fiction and repeat the process, starting with analyzing stories in that genre all the way through to the final stage of storytelling. Then after 5 weeks, we switch to their last world. In my approach, for the second world, the students again must use the same genre but they can randomly generate their own worlds. For their third world, I give them more freedom to form their own groups, choose their own genres of fiction, and generate their own worlds. For finals week, I’ve had students do presentations on their final world, and I’ve also administered a final exam where I use the worldbuilding deck to randomly generate a world at the beginning of the exam time and the students have until the end of the period to provide a logical interpretation of the world they see in the cards. Alternately, you can spend an entire semester building one enormous world. The best approach is to generate values for the broadest scope of the world and have students work in groups, developing at least two different structural categories of governance, economics, social relations, and cultural influences. They should have a good handle on the world’s history and its major locations and characters. This process will take a solid two weeks, if not three, to create a coherent, logical metanarrative that everyone understands and feels attached to. From there, split the students into small groups (either randomly assign them or allow them to self-select based on their interests) and have them develop a smaller unit, i.e. a world within their larger world. For example, this might be developing different states or cities within a region, or different planets within a solar system, or different districts in a megacity. In this case, the group needs to decide how many of the values of the larger world they will inherit and which they will change. 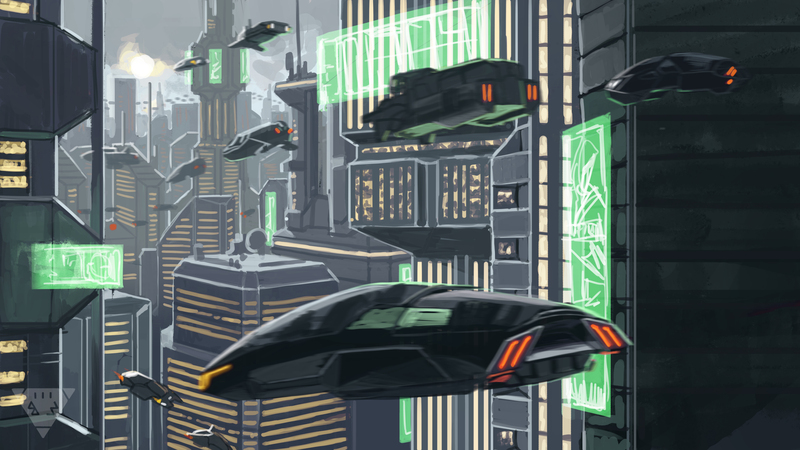 For example, there might be one city that has much stronger Military Influence than others in the region, but the levels of Economic Wealth and Economic Distribution are basically the same as the larger world. Its instructive to look at Wikipedia as an example, noting how the online encyclopedia describes different levels of worlds. Starting with a region like the Midwestern United States and moving down one “level” to describe individual states like Wisconsin, Iowa, and Illinois, and then down another “level” to the largest cities in the region, such as Milwaukee, Des Moines, and Chicago. For additional detail, you could even go a level lower and describe the different neighborhoods of these cities, or go back up to the region and up one level to the United States of America, and up again to North America, planet Earth, our Solar System, and so on. When doing so, focus on the specifics of each level and what differentiates it from the level above or level below. For example, based on the Wikipedia entries one might conclude that Religious Influence is moderate throughout the Midwest, yet Madison, Wisconsin is one of the least religious-minded cities in the entire nation; thus we could say that the “world” of the Midwest Region might have Religious Influence of 3, whereas Madison–a city within a state within that region–might have a Religious Influence of 1. However, it is important to remember that the values are not objective truths in and of themselves, but rather provide a framework for worldbuilders to have in-depth discussions about how social forces operate in different worlds. I am available to give talks on collaborative worldbuilding and conduct worldbuilding workshops for all manner of classes, clubs, groups, conferences, game stores, and conventions. I have run workshops of all time lengths at conferences like Games+Learning+Society, New Media Consortium, Creative Writing Studies Conference, Electronic Literature Organization Conference, at different THATCamps, and as part of an interactive keynote for the 2018 North American Gaming and Simulation Conference. Use the contact form for inquiries. A hosted workshop would need to cover my food, lodging, travel costs from Rochester, NY and a negotiable fee or honorarium. I am also a full-time English professor, so hosted workshops need to fit within my academic schedule. Got Questions? Need Help? Want to Show Off Your Students’ Worlds? If you’ve got questions on how to manage your collaborative worldbuilding project in the classroom, questions on some part of the worldbuilding process or how to use the deck, or need some other kind of help, please use the contact form and drop me a line. While I can’t guarantee to respond to every request, your question may be answered as part of the Cornerstones Worldbuilding Blog posts. You can also use the form to send links to collaboratively built worlds that your students created to be shared on the Cornerstones Worldbuilding Blog.